The violent history of postwar Croatia, from 1945 until the turn of the millennium, created three generations of dislocated people. Some were dislocated from home and roots: many thousands fled their homeland during the years of Yugoslav Communism, with its informers, “eliminations” and prison camps. Others, who stayed on, were dislocated from their history as the Communist authorities rewrote the past, a process that continued during the bloody Balkan wars of the 1990s. And dislocation, as always, extended into the psychological realm: timeless ideas of value and even truth were warped by decades of lies. 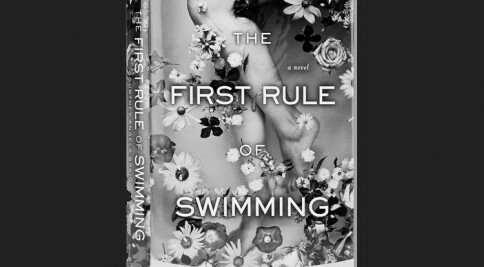 In her new novel, “The First Rule of Swimming,” Courtney Angela Brkic conveys all these dislocations with empathy and poetic grace. Her fictional family lives on an imaginary Adriatic island called Rosmarina, a timeless, enchanted place that has incongruously been dragged into the brutal 20th century. The family patriarch, Luka, fought with the partisan guerrillas during World War II. Thirty years later, his son Marin is tortured in a dreadful prison and later flees the country, disappearing into “the rabbit hole of America.” Luka’s daughter, Ana, is no longer “the gentle beauty of her wedding photograph but a nervous woman who ingested the contents of various blister packs.” For mysterious reasons, she has chosen to abandon the island for a squalid urban life with an abusive husband in nearby Split, leaving her two daughters with their grandfather. It is on these daughters, Magdalena and Jadranka, that the story is centered. The elder, Magdalena, is unswervingly loyal to Rosmarina and to her family and has taken the unusual career path of staying on the island and teaching school. “Few who attended university ever returned for more than holidays, and at 31 she was an oddity in a place where teenage girls tended to marry out of boredom.” Jadranka is more restless, driven by demons she hardly understands. Eventually she too heads for America, stopping temporarily with their cousin Katarina, who had emigrated from Rosmarina as a child some 30 years earlier and is now a chic Manhattan gallery owner. A few months later Jadranka, like her uncle Marin, disappears down the rabbit hole. Magdalena’s journey to America to find her sister forms the arc of a fairy-tale quest, perhaps that of Snow White and Rose Red, in a German storybook the girls’ mother had once given them: “Magdalena could still remember the vividly rendered illustrations, so different from the washed-out colors of the country’s socialist presses.” As Magdalena searches New York, probing the exile Croatian community, layers of the family’s history slip away and the truth — involving betrayal, thwarted love and ultimately reconciliation — is shiningly revealed.